Disappointment dominated proceedings at the Chalet du Lac, in Paris’ 12th district on Sunday night, where Marine Le Pen had assembled her closest allies and supporters. 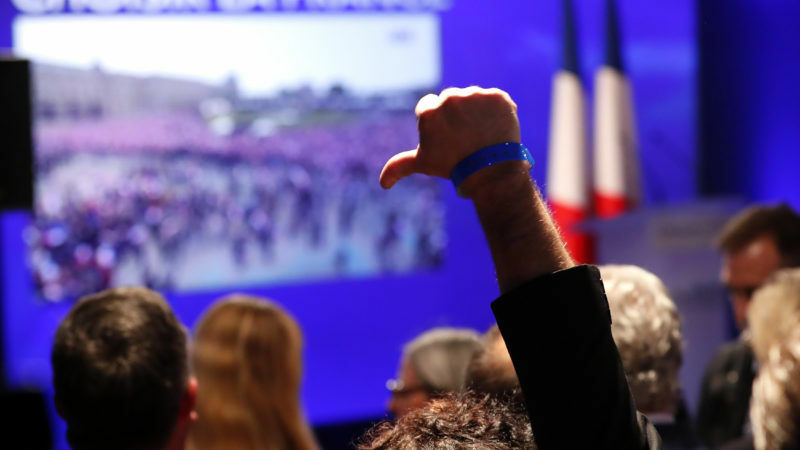 But with “just” 34.5% of the vote, the National Front (FN), which had claimed the title of first party in France at the latest local elections, suffered a heavy defeat. Conscious of the situation, Le Pen used the occasion to announce a renewal of her movement. In a bid to boost her party’s attractiveness ahead of the legislative elections, she offered her supporters “a deep transformation” of the extreme-right. “I call on all patriots to join us to commit to the decisive combat that lies ahead of us this evening,” she said in her concession speech. Florian Philippot, Le Pen’s right-hand man, thanked “the 11 million patriotic voters” who had elevated the FN to “new heights”. “We are the main force of opposition against Mr Macron,” he added. With the legislative elections just weeks away, the extreme-right party’s new strategy is clear: work towards a large-scale reconfiguration of French politics, while insisting on the split between “the patriots and the globalists”. These words clearly resonated with Le Pen’s supporters at her post-election reception, as did her alliance with Nicolas Dupont-Aignan and his “France Arise” party (Debout la France). “We have to rally those who want to put their country first,” said one FN activist, wearing one of Donald Trump’s “Make America Great Again” baseball caps. But even the thought of greater things to come could not sweep away the disappointment of the moment. And many a moist-eyed FN supporter refused to acknowledge the journalists in the room at all. 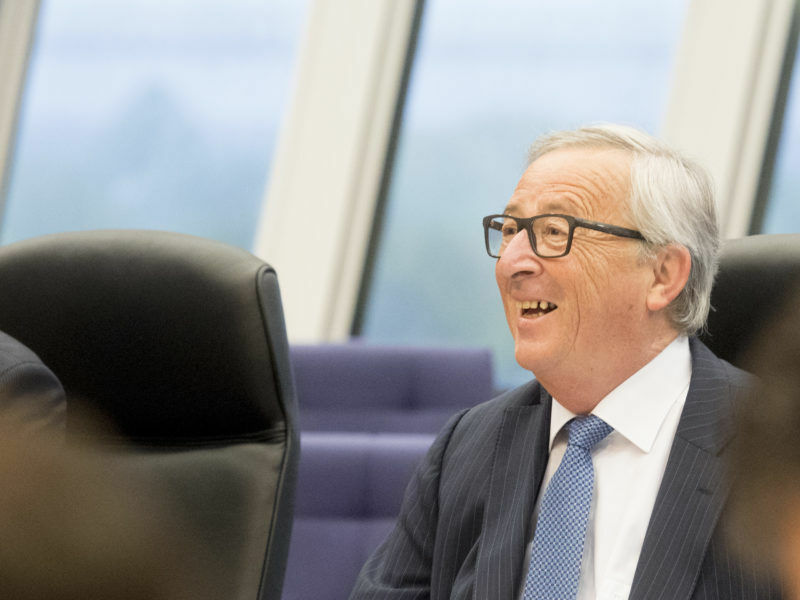 Others, frustrated by the victory of what they described as “the candidate of continuity”, did not hesitate to blame the media and journalists “who carry out the orders of their globalist masters”. The climate of defiance toward to the media was palpable. Just minutes before Le Pen’s arrival, one audio-visual journalist was forcibly ejected from the room. In a completely arbitrary move, only radio and television journalists were allowed into the extreme-right’s headquarters as the results were filtering in. Journalists from the written press were kept in a side room until fifteen minutes before the final result was announced. After a confrontational campaign, the FN seemed in no mood on Sunday night to build bridges with the media.